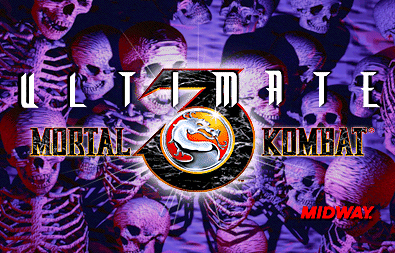 Long-awaited arrival of Ultimate Mortal Kombat 3 for Microsoft's Xbox 360 downloadable game service set for November. A decade and change ago there were two fighting franchises duking it out for supremacy at the arcades: Midway's Mortal Kombat and Capcom's Street Fighter. Earlier this year, it was revealed that installments from both series would be released for the Xbox 360 on Microsoft's Xbox Live Arcade service. In August, Street Fighter II' Hyper Fighting was released after fans were made to endure multiple delays. Meanwhile, Ultimate Mortal Kombat 3 has yet to be delayed, possibly because it has never had a release date any more exact than "by the end of the year." With 2006 heading into the home stretch, Midway has finally narrowed that window down a bit. Midway today announced that Ultimate Utimate Mortal Kombat 3 would be available in November, completing a four-hit combo that also consists of the PlayStation 2 and Xbox editions of Mortal Kombat: Armageddon (being released this week and next, respectively) and the series' PSP debut, Mortal Kombat: Unchained. Midway has not announced a price for the game yet. "Dig Dug," the Bandai-Namco classic originally released in 1981 is launching on Xbox Live Arcade Wednesdays, tomorrow, October 11. Eliminate the monsters deep beneath Earth's surface by dropping rocks on them or blowing them up until they pop! Dig tunnels and defeat enemies. Use your harpoon to inflate and pop enemies or crush them with rocks! Earn bonus points by crushing multiple enemies with one rock! Enhanced graphics including HDTV support (720p, 480p), 12 Xbox Live Achievements and online Leaderboards make this version of the classic game the best yet. Download "Dig Dug" tomorrow, Wednesday, October 11, at 1am PST on Xbox Live Arcade. The Xbox 360 game Saints Row has just released it's first content download on the marketplace. The content called Funky Fresh Pack contains 69 additional items to bling out your character. These not only include new Clothes but also new Accessories like an eye patch for all you pirates out there. New Hair Styles such as a Curly Gents Moustache. ;) And some new Tattoos such as a Biohazard symbol. The price of this first download is a very reasonable 100gp and only weighs in at 14mb for the download. You can now download 'Spell Tomes' for 'Oblivion' This content is 80 points and not available in Mexico, Austria, Switzerland, Germany, Spain, France, Italy or Japan. This pack adds "Spell Tomes" to the world's random treasure. These books grant you wondrous and powerful magic spells, just by reading them! Being patient might help you win a hand at poker, but it certainly won't help you get 'Texas Hold 'em' for free. All Xbox 360 gamers who log on to Xbox Live Marketplace between 1am Pacific Wednesday, August 23 through 1am Pacific Friday, August 25 can download 'Texas Hold 'em' for free. 'Texas Hold 'em' for Xbox Live Arcade simulates the real poker atmosphere and gameplay only found in competitive poker rooms around the world. Persistent Bankroll and lifelike graphics make this game a must-have for any poker fan. Play against the dealer or play online with or against your friends and turn every night into poker night. 'With high-definition graphics, Xbox Live Achievements and Leaderboards, the Xbox Live Arcade version of this all-time classic game provides hours of fun. Download 'Texas Hold 'em' today, Wednesday, August 23, at 1am PST on Xbox Live Arcade.